Just Picked Pty Ltd is an owner operated business located on the outskirts of Melbourne – being only 35 km from the GPO. Hans and Maria Hoffmann established this orchard and berry farm 16 years ago based on the concept that fruit, where ever possible, be grown locally, picked at its optimum stage of ripening and be available directly to the public with minimal processing. There is a direct outlet on site where a wide range of produce is available. 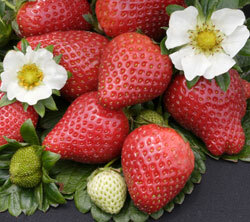 The selection of berries includes raspberries, blackberries, boysenberries, blueberries and mulberries. 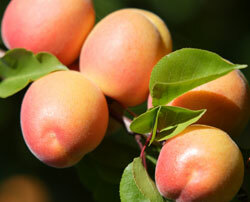 The selection of stonefruit includes apricots, peaches, nectarines and blood plums. In addition there are other crops including apples, figs, corn, tomatoes, beans and pumpkins. All produce is picked ripe and sold seasonally. There are also occasions when pick-your-own facilities exist. Now also situated on the property is a Juice Bar where a delicious variety of smoothies and fresh juices are available. Both morning and afternoon teas are served and there is always a tempting selection of seasonal fruit pies and tarts in the deli. An extensive selection of home made preserves and chutneys are available in store and this year the produce range has been extended to include a delectable range of liqueured fruits. This company has continued to grow over the years as it seems that many other people share is Hans and Maria’s vision of simplifying the food chain and minimizing our impact on the planet. It provides the public with the opportunity to buy locally, eat seasonally, and enjoy fully flavoured fresh produce which has been produced in an environmentally responsible manner using Integrated Pest Management strategies. The crops are usually picked and packed daily and undergo no additional processing to enhance shelf life or appearance.